Having owned and operated her own restaurant business in inner-city Brisbane, Mel learned early on that having great products and services is not enough to keep customers and grow a business. She is a successful Customer Centric Coach. 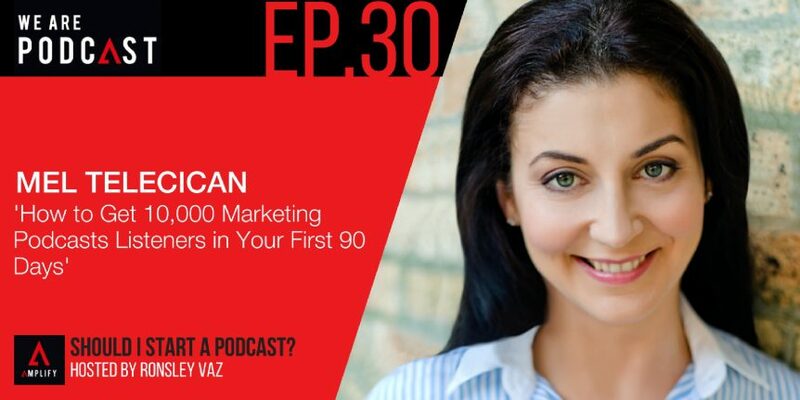 She shares her success in marketing podcasts, building her blog, practical tips on driving clients and customers to your blog. In a competitive market it’s key to be “top-of-mind” with existing customers. Mel’s success came from creating and refining processes to drive more custom from the people already walking through the doors. She did just that and it gave her business fantastic exposure that led to winning local and state awards and TV and book coverage which resulted in her doubling her profits and the database growing to 10,000 in just under two years! Mel specialises in helping businesses keep and attract customers and increase their bottom line. How podcasting helped increase traffic to Mel’s web page and to her new business, and how she attracted ten thousands listeners? How Mel got into podcasting? What are the most important things to consider in marketing podcasts?